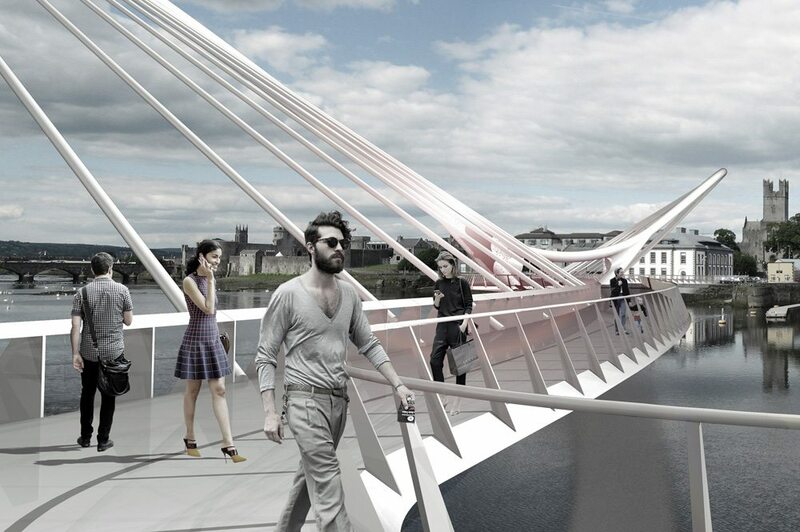 BEaM were commissioned by Limerick City Council to design a prominent new pedestrian bridge to establish feasibility and support funding initiatives in advance of detailed procurement. 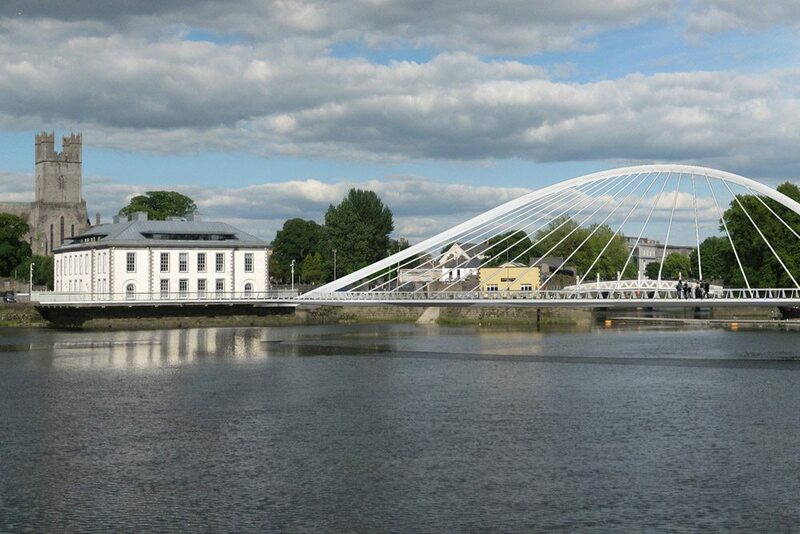 The bridge crosses the southern confluence of the Abbey River with the River Shannon following the line of a weir that separates the two rivers. 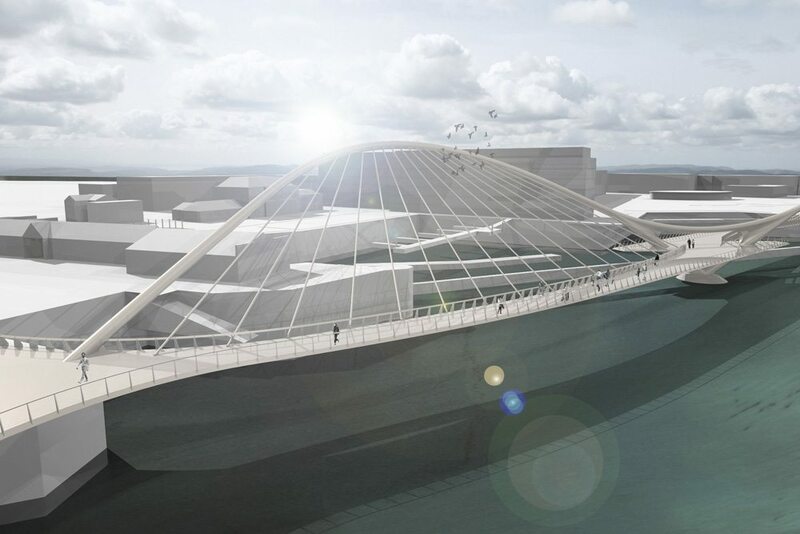 The preferred design follows a 200m S-shaped curving alignment with a two-span arrangement. Each span is supported by an inclined stayed arch, arranged on opposing sides of the deck respectively. 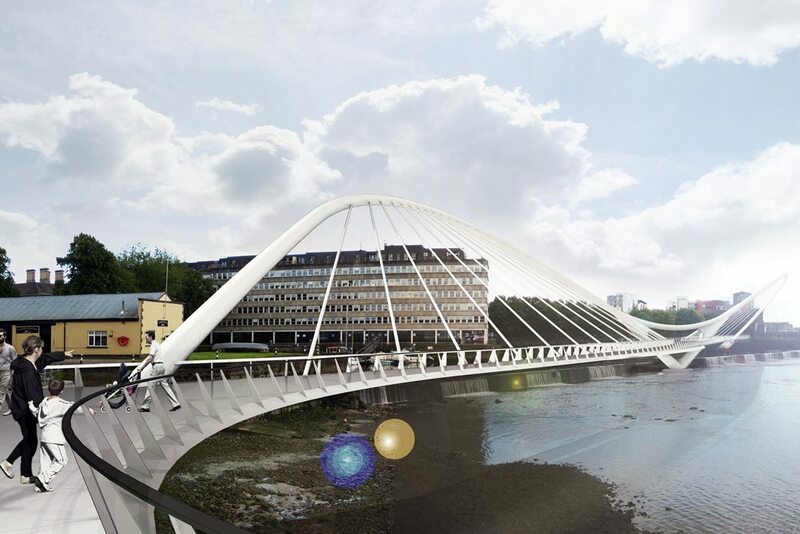 The resulting form channels axial views to St. Mary’s Cathedral and Arthurs Quay Park and provides a meandering path alongside the weir, with wide ranging city views and pedestrian amenities.